An Ancient Solar System...: Answers for students: What are ray diagrams? 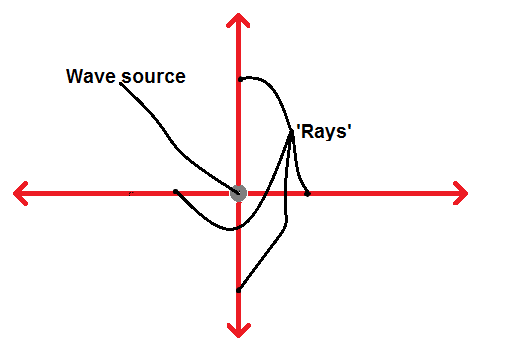 Answers for students: What are ray diagrams? Part of a series in which I answer some of the fundamental physics questions students of all ages ask me. What is light? Mostly you'll hear that light travels in waves. And that's true*. But it also comes in particles, called photons. And then, to make it more confusing, people talk about 'rays' of light. Who the hell is Ray, and what does he have to with lasers? Can he be trusted with one? And what does he know about the missing Death Star plans!!!? 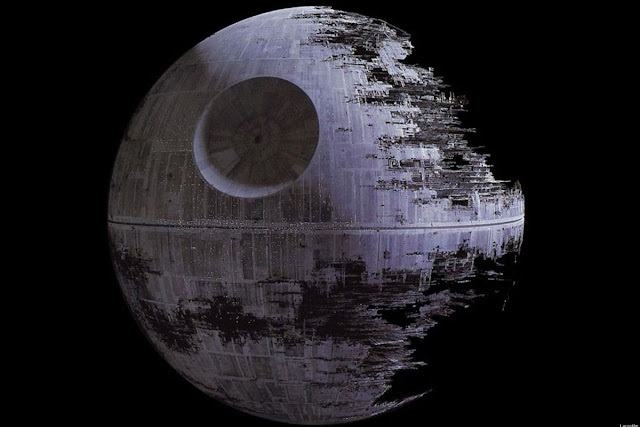 Well, I've got bad news for you: Like Death Stars, rays aren't real.... but if we're trying to calculate the path light takes, especially when we get to things like diffraction and refraction, accurately drawing waves themselves quickly gets difficult - it's all just too complicated. 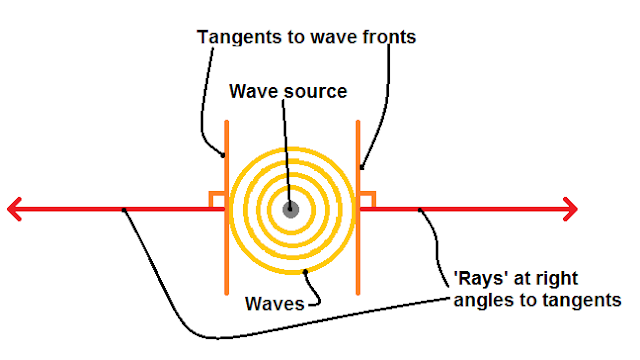 To simplify this we use ray diagrams: These aren't meant to indicate that light is made up of rays, it's just a convenient way of showing the direction of a group of waves. 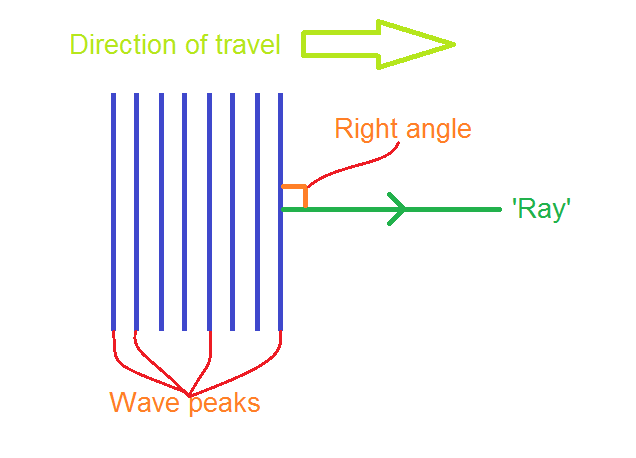 ...and that's all a ray diagram is, a way of showing the direction of motion of the waves! *Light can also be a particle, and can morph from particle to wave... but that way lies quantum mechanics, and I've had enough headaches today. The Universe in 101 words: What's the Big Rip?